The Audio Matrix Switcher is a C-Bus device part of the multiroom audio range, which switches four stereo audio inputs, dual AM/FM tuners or Streaming Audio to any of the eight available digital audio outputs. 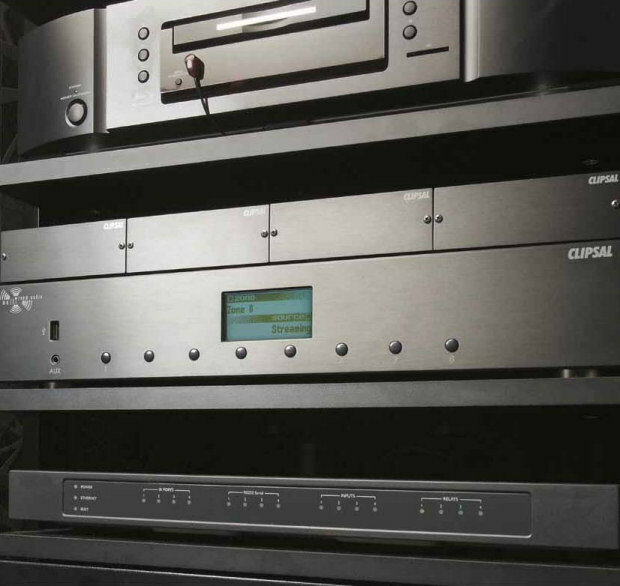 These digital outputs are then distributed to C-Bus Audio Amplifiers. Please Note: The Audio Matrix Switcher is used in combination with C-Bus Audio Amplifiers (see related products).